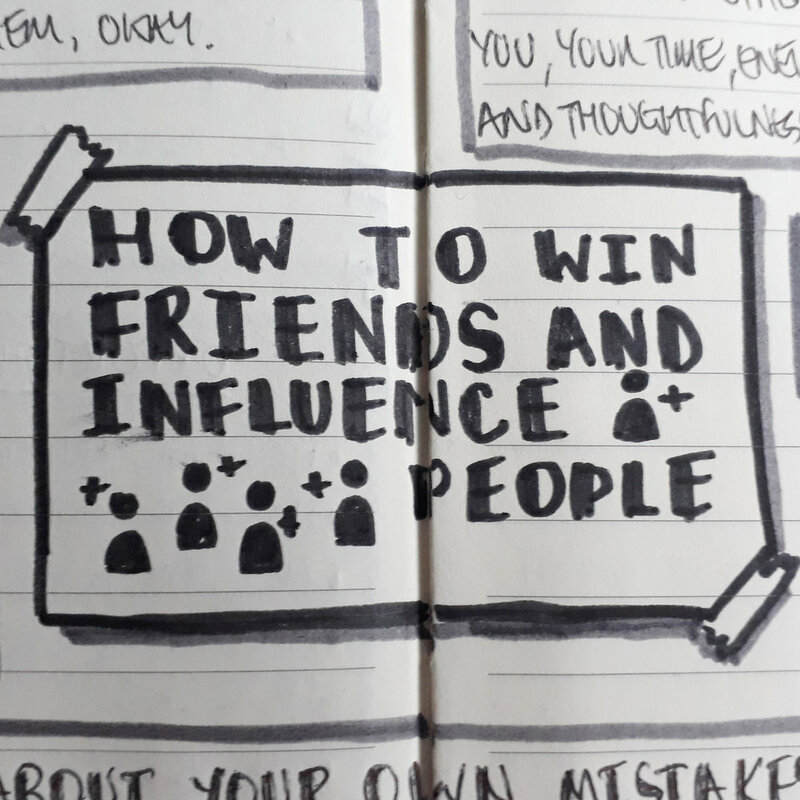 How To Win Friends and Influence People by Dale Carnegie, based on his book of the same name. 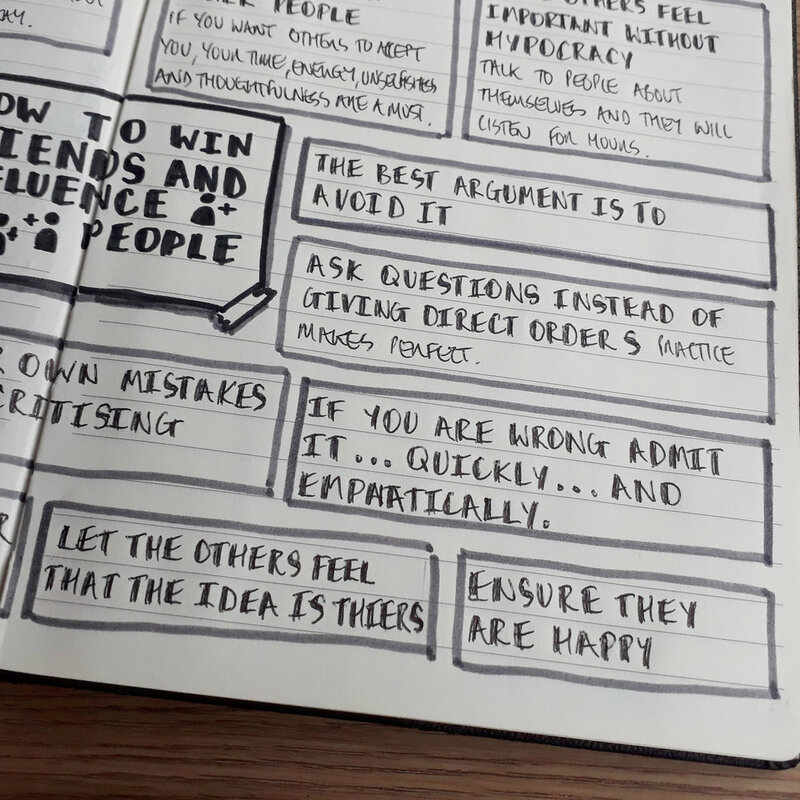 How to Win Friends and Influence People is one of the best-selling books of all time, and I can't believe it was written in 1936! There are so many crazy statistics about this book, it’s amazing - it went through 17 editions in its first year of publishing, has sold over 15 million copies worldwide, and made number 19 in ‘Time’ magazine’s 100 most influential books in 2011. 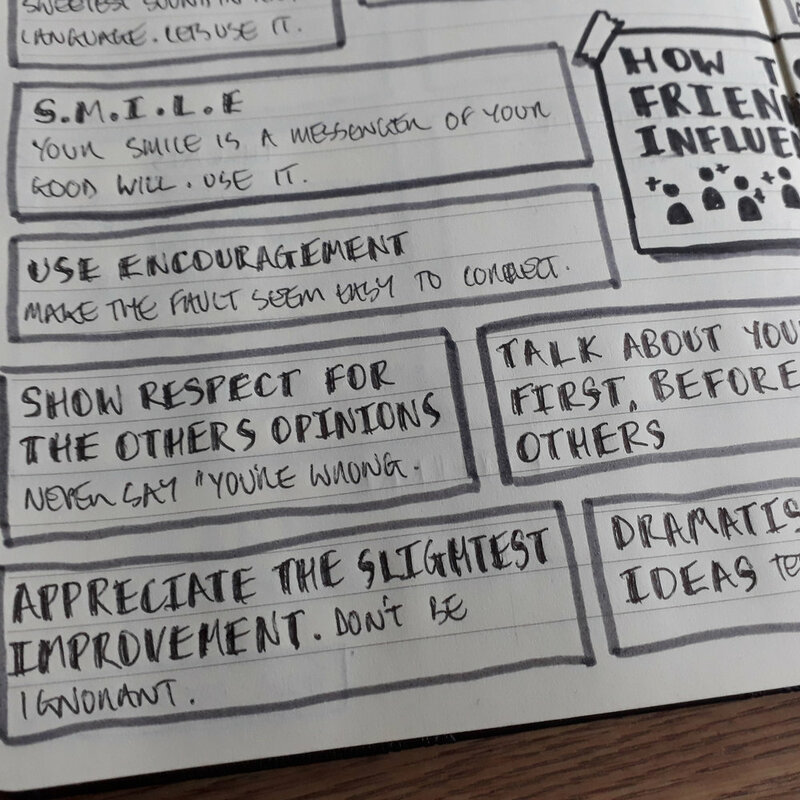 I read this book years ago, but these sketchnotes are based on a pin I found the other day. I think I need to schedule some time to read this one again. Are there any books that any of you have read that you want to read again? 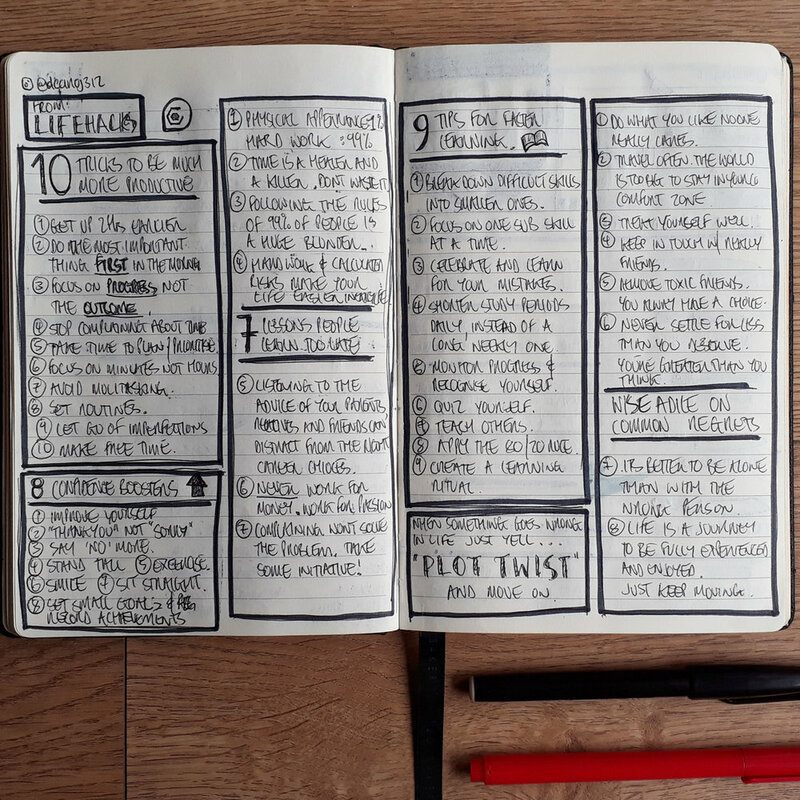 These lists I found on Pinterest combine a few of my favourite things: learning, creating list and being super-efficient at life in general. Here are a collection of a few I particularly found interesting and wanted to note down for future reference. 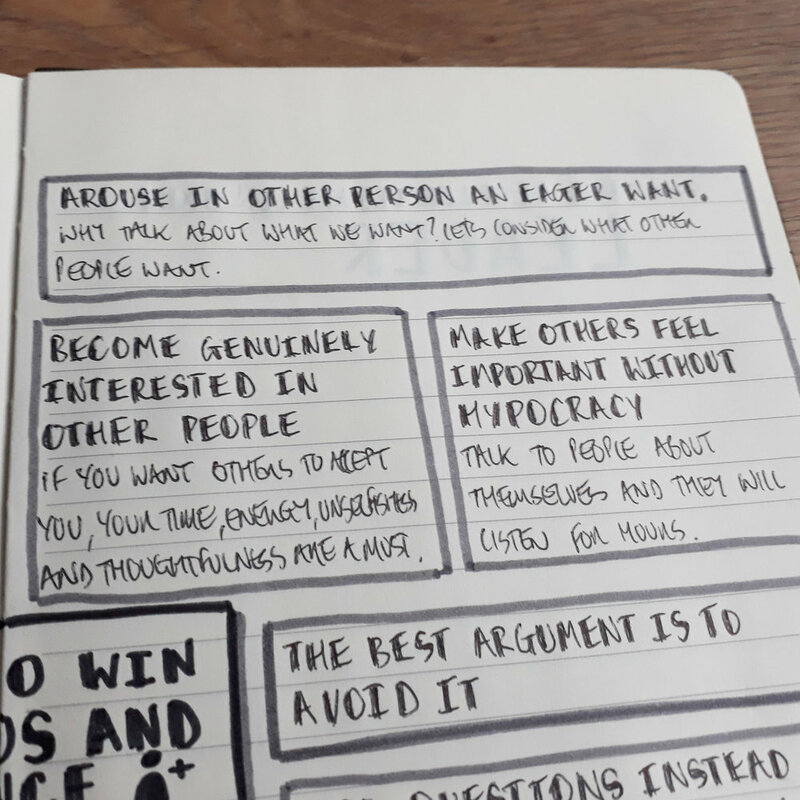 They are: 10 tricks to be much more productive, 8 confidence boosters, 7 lessons people learn too late, 9 tips for faster learning and wise advice on common regrets, plus a funny quote, just because. This week, I took my nudenotes to the next level, using them as a basis to create something new. 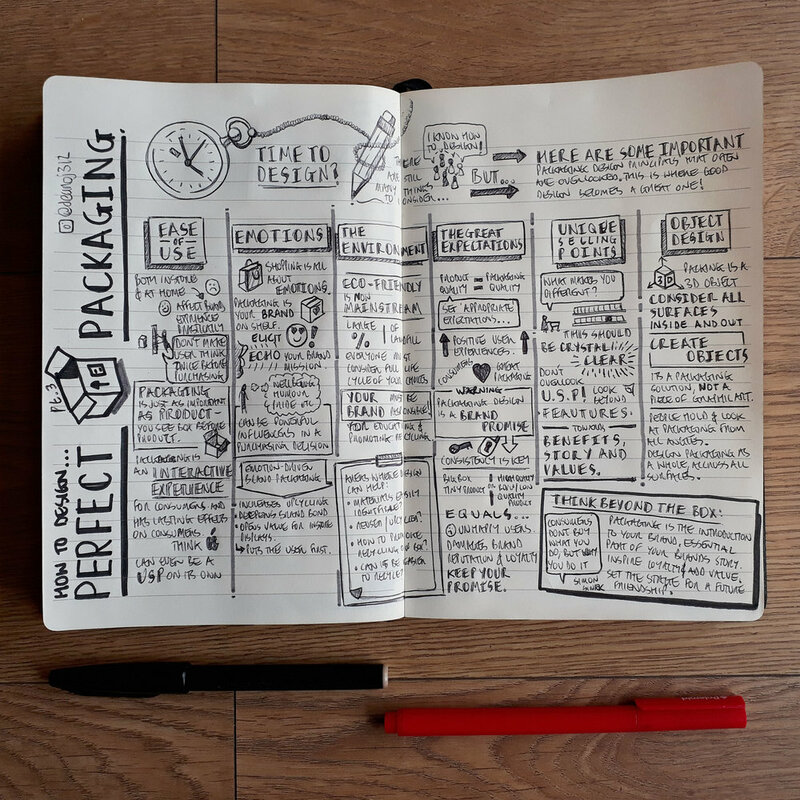 Packaging Design 101 is the culmination of weeks of research from a tonne of books, podcasts and blogs with a sprinkling of my own insights and a pinch of experience.